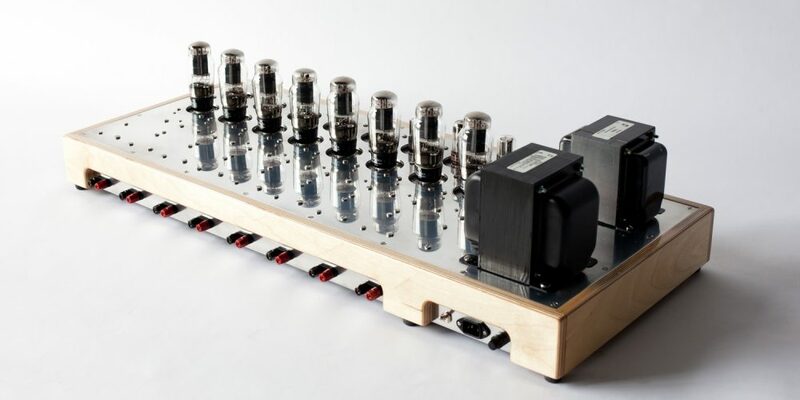 The Octoblock was created for the Sonic Arboretum collaborative project we do with Andrew Bird. 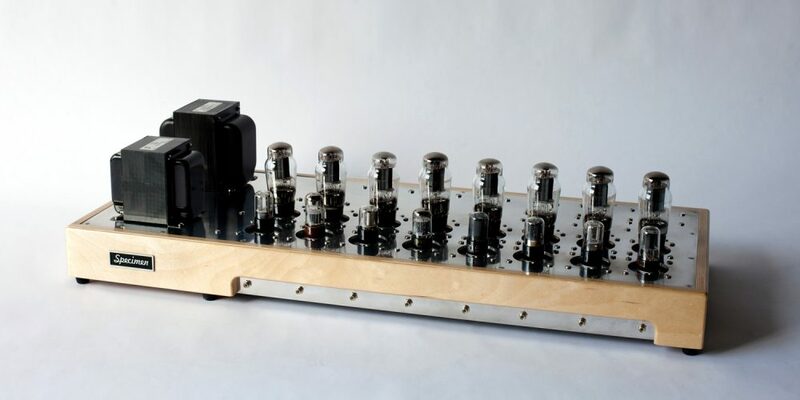 It is basically an eight channel single ended power amp. The massive power supply powers all eight channels and has a universal primary for world travel. 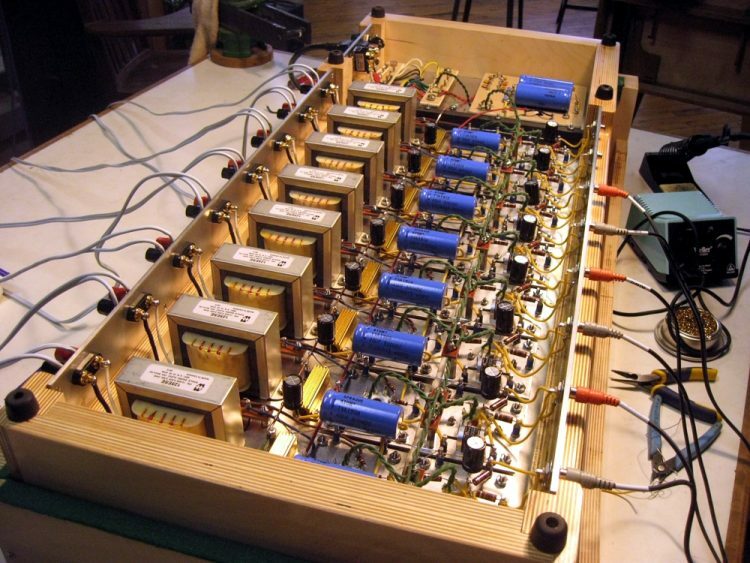 Ultimately, twelve of these amps will power 96 horns and be a traveling museum show. 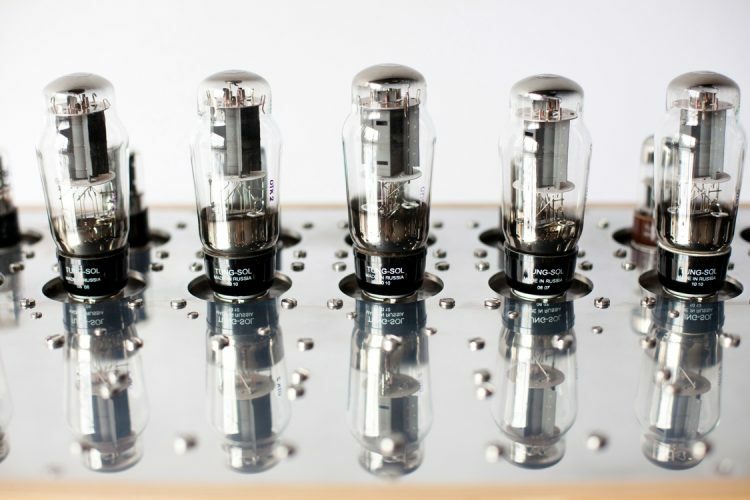 The unit also represents, perhaps, the world’s first single-ended triode home theater system. 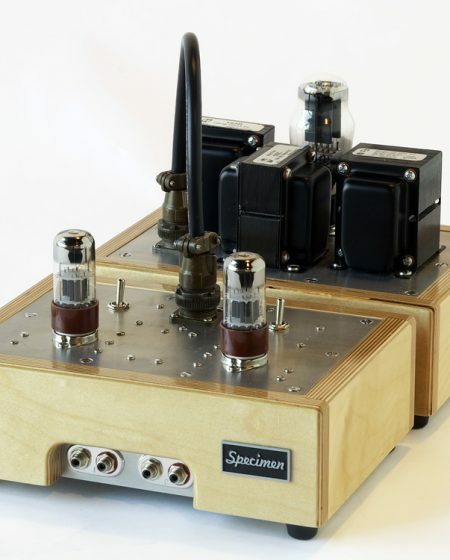 Back in the 1930s, there weren’t home theater systems and when you did go out to the theater what you heard was usually a mono signal, but it was single-ended and the sound came out of a horn. So let’s unite the past with the present and realize a splendid glory hitherto unattained. Let’s see what breakthroughs the past can hold if we just look in the right place. 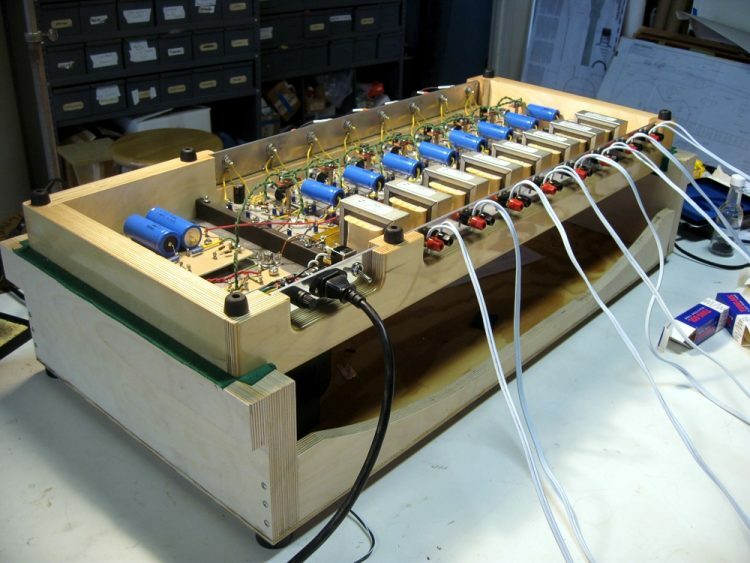 The Octoblock weighs in at almost 100 pounds. Two people are required to move it. 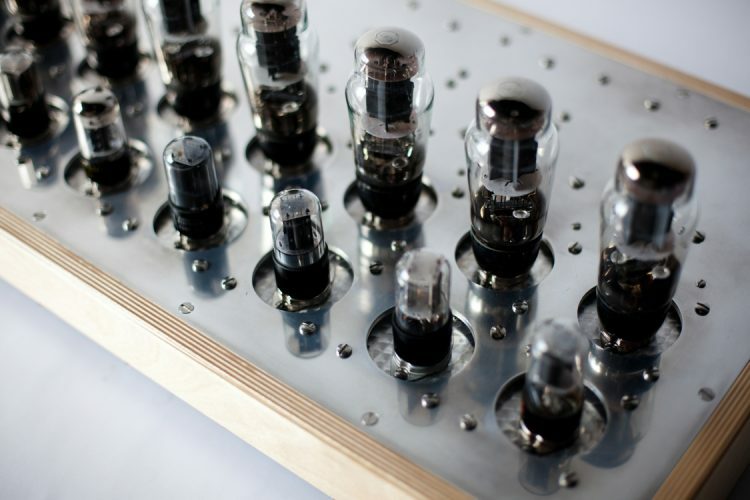 Considering the number of tubes required in this amp, the Octoblock uses engine-turned, sub-dermal tube socket plates to allow for convection cooling. 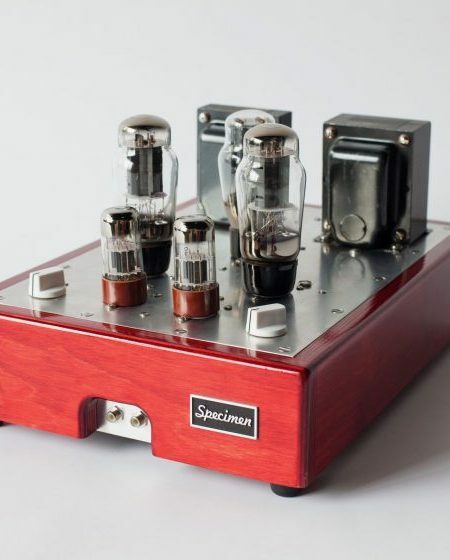 This also allows the use of an extra thick aluminum panel to support the weight of the transformers—an often overlooked property in chassis design. 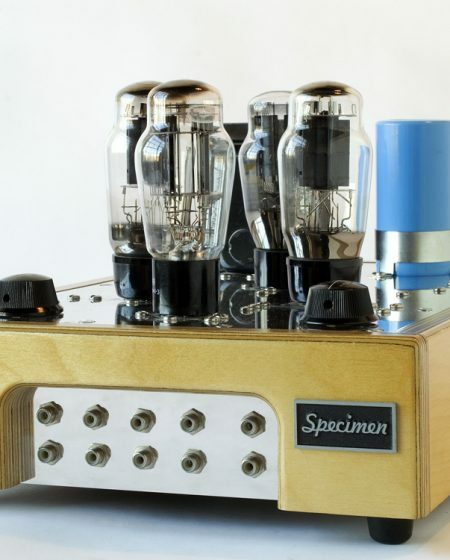 If too frail a chassis is used on a tube amp, the danger of damaging the transformers and chassis from inertial impact is very real. Every day I see many bent and trapezoidal components come in off the road for service and I just shake my head.